If you have only experienced vocal strain when you sing and want to get out of that hell hole, then you will need to first understand the way your voice is actually meant to travel... especially when you sing. We normally speak from the throat, and when we shout (see some politicians), we would usually feel the strain in the throat also. So let’s move away from talking and screaming for a moment. Let’s say you now want to use your voice to sing. Now because we don’t murmur when we sing, your natural reflex would be to shout because you want to be heard. This article will aim to show you how to retrain your voice to prevent vocal strain when you sing. The more you think of the pain to your throat caused by your attempts to sing like a pro, the more you’ll come to realize that there has to be a better way. Don’t you ever wonder how the stars do it? Well, it all comes down to training the voice so that your larynx muscles stay relaxed when you sing—which brings me to my next point—the top 3 ways to prevent vocal strain. You’re going to be amazed to discover just how effective a small and simple training exercise is able to completely transform the way you use your voice, so that pain and strain become a thing of the past. 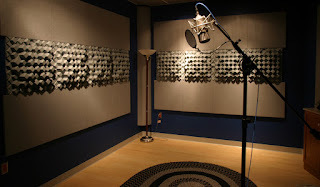 Some experts say that until you’ve applied speech level singing technique to your vocal training, complete control over your vocals will for always be nothing but an illusion to you. I will begin by recommending that you do the lip roll to begin with. It involves lightly placing your finger tips on your cheeks (maybe with just a little bit of pressure) and then creating a sound with your lips closed—like a bubble. My next recommendation is the tongue trill, which is basically placing your tongue on the roof of your mouth and making a sound with 'RR.’ These two exercises have one thing in common. Because they’re lighter, they’ll allow you to navigate your range with a lot more ease and flexibility. My third and final recommendation is to do the humming. For all of the above 3 exercises, please note that they can all be done with almost any scale to the piano. I wonder if you’ve realized, just by doing the above exercises, how simple and easy it is to prevent vocal strain when you sing. Now let me tell you how your voice is meant to travel, so that when you’re doing your exercises you pay particular attention to this fundamental element. First, you should feel your voice in your chest area, and the higher you go, that voice should feel like it is traveling through the back of your neck and into your head, hence the term head voice. If you’re the kind of person that needs to prevent vocal strain, now you know exactly what to do to prepare your voice to sing like a pro. Watch a presentation video and download vocal training exercises MP3 here! If you’ve been following my vocal training instructional clips on YouTube; my vocal training tapes on my Hulkshare page and my handy tips and advice on WhatsApp; and you’re still having trouble getting it together, this article will address the hurdles of home learning and how to go about getting it right. I would usually insist that my WhatsApp pupils regularly send me voice notes of them doing the scales. And there is a reason for this. I want to know whether they’re doing their exercises correctly. The point is, if you’re doing your scales off key, hitting your notes flat and not doing exactly what you’re supposed to do on the scales, I’m afraid you will not get the desired results. Believe me when I say, it takes commitment to do this. Now let me show you how to get your vocal training schedule in order. MOST importantly, make sure that you’re relaxed and ready to learn, and pay particular attention to instructions and demonstrations. All of the instructions that precede the exercises were put there to show you how to do them correctly. So don’t guess. Don’t go out and do your own thing contrary to what you’re meant to do. Do exactly what you hear on the tape and if it doesn’t sound right to you, then listen to it again until you clearly understand what it is you’re meant to do. Remember, you’re training both your ear and voice. So in essence, you’ll want to be playing your vocals like an instrument, in key with the music. That’s all there really is to it. Training your voice takes perseverance. Don’t be too quick to jump onto a song when your voice isn’t ready. In fact, I’ll advise that you stay well away from the songs you’ve been struggling to sing for years, and make sure you get your voice in order, first, before you revisit them. That way, you’ll get to appreciate your progress a lot more and to fully understand the benefits of the vocal training exercises that you do, because you will come to realize the true power of vocal training exercises. So the next time you’re feeling a little disenchanted, just try to remember that all it takes is a little patience, practice, perseverance and a bit of hard work to get it right. Nothing is impossible when you concentrate. For more information on vocal training and home learning click here! Discover the Amazing Benefits of Vocal Agility Exercises with the "Wee Yoops"
In my previous article I talked about Vocal Agility as the Key to Singing Complex Melodies and Sounding like a Pro. In this article I want to talk more about a vocal agility exercise using the “Wee Yoops”. If you want to be able to have your voice bounce around a little, AND to begin to develop the trills at the same time, there is a simple way to work the muscles that’ll help you get from note to note with greater ease and agility. And what’s more, this exercise will also work your mouth and cheeks, whilst allowing your tongue to rest flat in your mouth. In case you hadn’t noticed, when your tongue gets in the way of your singing it can really mess things up. So you’ll want to learn to keep it down in your mouth while doing your vocal exercises, and that will automatically follow you in the songs you sing—so that you only use your tongue when needs be. So let’s take a closer look at this very special exercise. Do the “Wee Yoop” on the scales. This particular exercise is fast and compels you to stay focused and agile. Your lips and cheeks will also get a good workout with this one, and furthermore—and to a great extent—this exercise will also help you with articulating your vowels with the lips because performing the “Wee Yoop” will require that you shape your lips in a certain way. Hitting the head voice at the higher end of the scale, also, becomes a lot sharper and more focused. What makes doing the “Wee Yoop” exercise so tremendously beneficial is that it helps to keep your larynx muscles down, in that they do not rise to strain your voice the higher you go. So it’s a rather easy-to-perform exercise MOST people will be able to do. 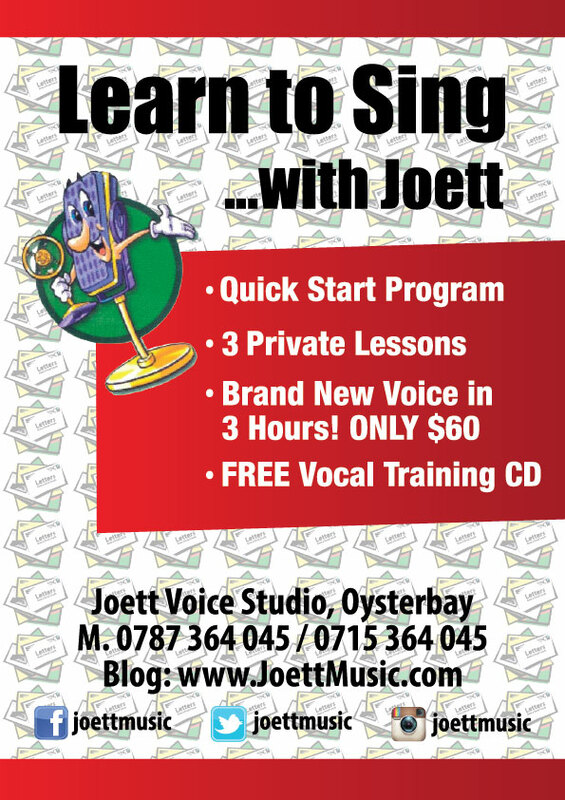 Using my Learn to Sing with Joett Vocal Training CD Booster Program, I would highly recommend that you do the Alternative Descending Scales with the “Wee Yoop”. I do hope that these handy tips have given you additional training to add to your daily vocal training routine. Feel free to download descending scales to work with here! If ever you’ve wondered what the best ways are to develop vocal agility, this article will not only give you a quick tip on what exercises to do, it will also explain what vocal agility is all about. The real benefit of having an agile voice is the ability to jump easily from one note to another and land on the right key without having to slide up to it. Furthermore, it enables you to do any type of trill or run, which is really important for any song you want to sing. Vocal agility exercises are usually pretty quick, because they’re specifically designed to build that agility. So are you ready to discover the key to singing complex melodies and sounding like a pro? When you want to find the correct notes perfectly and jump from one key to another without having to slide up to the correct notes, you’ll come to realize the great aspect of learning vocal agility is it will help you create that professional sounding voice as you can learn to use vocal runs to make your singing more polished and beautiful sounding. And you can achieve this by doing special exercises that will give you the necessary additional training that you can add to your daily vocal training routine. And so let’s take a closer look at what exercises you can do really quickly, to develop vocal agility. Please note that once you know the proper way to sing each exercise, you’ll likely get the most out of any vocal training program. Whatever you do, please ensure that you do your exercises correctly. One of the most effective ways to developing vocal agility is to do the Wee Wee lip and face workout to any scale. It helps to get rid of the tension in your cheeks and lips and also helps you to bounce around because the narrow E vowel is particularly good with helping you get into your head voice. Lip rolls are also a great way to help you get ready to roll. 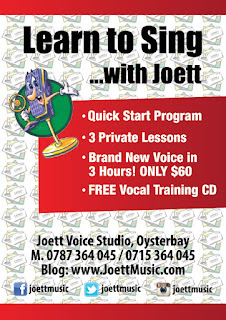 Using my Learn to Sing with Joett Vocal Training CD Booster Program, I would highly recommend that you do the Alternative Chromatic Scales with the Wee Wee and the lip roll. I do hope that these handy tips have given you additional training to add to your daily vocal training routine. Feel free to download chromatic scales to work with here! This is my sixth and final installment on developing your head voice. In previous installments I’ve covered Using Your Pharyngeal Resonator, Head Voice Vs. Falsetto, Low Head Voice, Building Powerful High Notes, and in the last article I showed you how to quickly Strengthen Your Head Voice. Judging from the feedback I have received in recent weeks, these articles have been a great help to many of you, in so far as giving you a better understanding on developing your head voice. In this article I want to talk a little bit more about the light head voice workout. I’m sure you can attest to this, that there is a tendency to get louder the higher up your range you go. And paradoxically, this seems to happen even with trained singers who obviously know better, because it is a natural instinct and therefore very easy to fall back into your old ways. Something else that tends to happen when you get louder towards the top of your range is the tendency to revert to shouting as opposed to working your way up the scale. Now if that natural reflex kicks in, then you know for sure that you’re headed for trouble. And so it’s time to add a little more training to the mix to help you stay on track. I’m going to show you a very simple exercise to help lighten up your head voice. Quite simply, this is almost like using the word WHAT but with the H pretty evident as you annunciate, whilst keeping the T silent. You can try this exercise with any scale: arpeggios, descending scales and even the chromatic scales would be ideal to practice with. So here’s what you can do to get a good head voice workout that will ensure you don’t pull up your chest voice as you approach higher notes. Try singing WHAA WHAA WHAA WHAA on pretty much any scale to see how easy it is to develop your head voice with this simple yet very effective exercise. I do hope that these handy tips have given you additional training to add to your daily vocal training routine. Feel free to download vocal training exercises here! There’s something about voice training that most people fail to understand—even for those that have been through training at one time or another—that it’s all about strengthening, maintaining and improving on what you’ve already learned. If you don’t do that, you’ll fall straight back into your old ways, habits and vocal problems that got you into training to correct. A training CD to work with is a brilliant idea, but providing you know what you’re doing, it is also possible to train anyplace you like without a training CD and still get to strengthen your voice in all areas. In this article, I want to offer a quick tip on how to strengthen your head voice with one simple exercise you can do in your car; on a coffee break at work; or even when chilling out to unwind in front of your television set. In case you’re not familiar with the descending scale, it is a vocal exercise that works your vocals in descent on a downward direction, thereby strengthening your lower notes so that you sound clean and crisp in your lower register. That being said, descending from your head voice to your chest voice does wonders for easing you into your lower register, sometimes far deeper than you’d ever imagine possible, yet with no strain or pressure building up in your larynx. So let’s take a closer look at how combining the head to chest descent can help strengthen your head voice on-the-go. The “GI” (pronounced Gee) sound is a great way to hit your upper register. So to do this particular exercise on a descending scale with “GI GI GI” will help strengthen your head voice anywhere and anytime you like, even without the piano or the vocal training CD. Make sure you open your mouth to breathe before each run, and make sure you’re doing each run in single breath. The last thing you want is to be taking breaths in between phrases. Make sure you’ve got sufficient breath to hold the note to the very end, just as you would when you sing a phrase in a song. I’ve talked about breathing in previous articles, but it never is enough. And so I’m going to reiterate this very important element in singing. How you breathe is how you sing. Drink that breath to fill the abdominal area in your breathing exercises, and you’ll likely do the same when you sing. I do hope that these handy tips have given you additional training to add to your daily vocal training routine. Feel free to download vocal training exercises here!